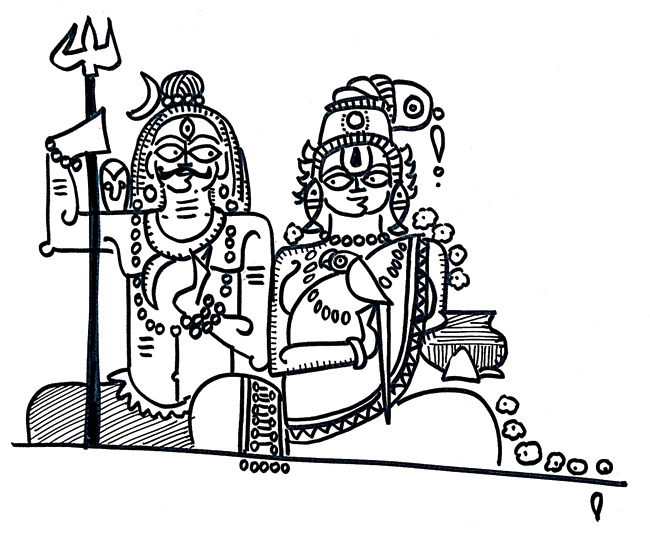 Devdutt Pattanaik is a prolific writer in the Indian and international markets best known for collecting and retelling popular and lesser-known stories from the Hindu tradition. 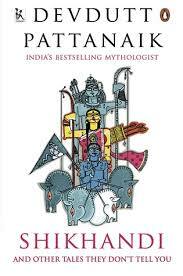 I first encountered his work in The Man Who Was a Woman and Other Queer Tales of Hindu Lore. This little volume was written in a light academic manner and had lots of helpful footnotes and references. I was concerned that Shikhandi and Other Tales They Don’t Tell You was just a rehashing of the older volume (which I happily own) but I was very pleased to discover that Shikhandi stands strongly on its own. Though the book is written in English, it is written in Indian English for the Indian market so some of the word usage and phrasing may not be what many English language readers are familiar with. I’d encourage readers distressed by non-standard uses of words like “ironical” to practice the fine art of coping. Shikhandi and Other Tales They Don’t Tell You is a paperback collection of stories illustrating many of the fascinating instances of queerness found in the canon of Hindu religious lore. The author discusses queerness as a concept and strongly situates queer expressions within the natural world. Rather than trying to justify or condemn queer expressions (specifically in terms of gender expressions and identities) with doctrine or dogma, Pattanaik introduces readers to the awareness that queerness is an inherent possibility within the manifest world that we are already part of. Lack of awareness of queer identities and queer realities doesn’t actually indicate the unreality of these experiences. Awareness, in this case brought about through storytelling, introduces readers to facets of the world that have always been present. The author rather sidesteps the potential sexual reading of these stories by focusing more on queer expressions of gender and how queer gendering disrupts categories of relationship, family, and so forth. Though queerness is a disruptive force, we are not led to see queerness as negative because of this disruptive possibility. Though not specifically a book about bhakti, there are numerous stories that illustrate the intimate and loving connection between worshipers and their beloved gods. I believe that recognizing the potential of sacred love to shake up the familiar categories of our lives is an important development in approaching the divine with a whole and unrestrained heart. Accepting that Their expressions will queer our categories lets us as devotionalists accept the myriad forms our respective Beloveds are capable of taking. Bound by his word, Dasharatha ordered Ram into exile. Ram obeyed his father without question […] and left the palace accompanied by his loving brother Lakshman and his dutiful wife Sita. When the residents of Ayodhya heard of the happenings in the palace, they were heartbroken. They decided to follow Ram into exile[.] When Ram reached the river that separated his father’s kingdom from the forest he turned around and said, “Men and women of Ayodhya, if you truly love me, wipe your tears and return to my brother’s kingdom. […] We shall meet again fourteen years later.” With great reluctance the men and women of Ayodhya obeyed Ram and returned to the city. On hearing their story Ram was moved to tears. He had overlooked them by they had not abandoned him. […] Overwhelmed, he hugged them and said, “Come, let us return home together. Never again shall you be invisible.” And so those who were neither men nor women entered Ayodhya alongside Ram to enjoy forever, along with others, the unfettered joys of his rule.